After receiving her bachelor degree from Birmingham Conservatoire in the United Kingdom, Swedish soprano Andrea Tjäder chose to continue her studies at the Royal Conservatoire of The Hague in the Netherlands. Here she specialised in historically informed performance practises under the tutelage of Rita Dams, Jill Feldman, Michael Chance and Peter Kooij. 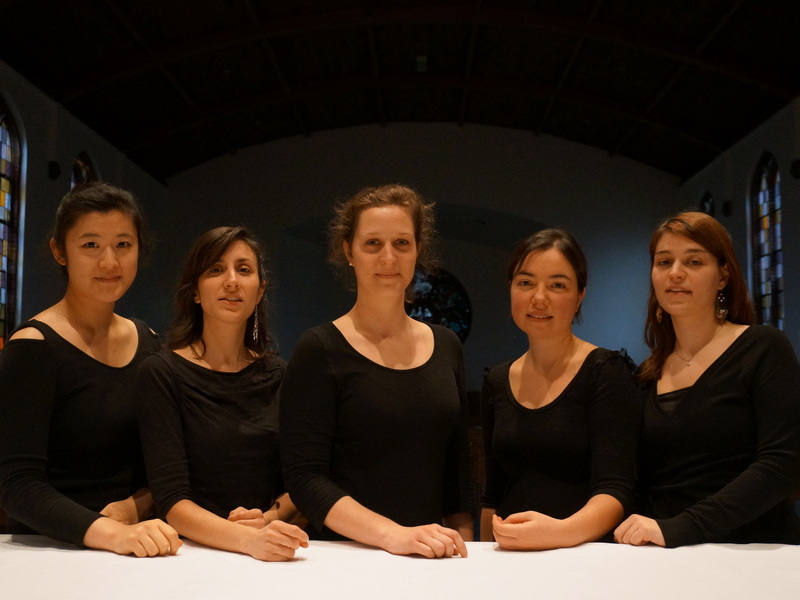 She also participated in projects led by some of the worlds leading experts on early music, including Patrick Ayrton, Kate Clark and Daniel Brüggen. Operatic roles include “Poppea” in Monteverdi’s L’incoronazione di Poppea, the title role of Handel’s Semele, “Zweite Dame” and “Zweiter Knabe” in Die Zauberflöte by Mozart and the role of “Anybody’s” in Bernstein’s musical West Side Story. In 2010 she also participated in the world premiere performance of the opera Scoring a Century by the British composer David Blake. Since May 2014 Andrea has been a cast member of BarokOpera Amsterdam and participated in productions both in the Netherlands and France. Andrea has also paricipated in master classes with Dame Emma Kirkby, Johannette Zomer, Margreet Honig and Swedish Baroque soprano Susanne Rydén. Recorder player and soprano Alice Boccafogli was born in Bologna, Italy. 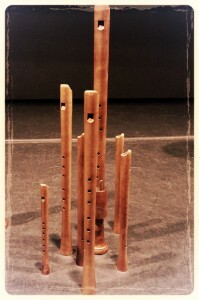 She studied recorder in Italy with Giorgio Pacchioni and Daniele Salvatore, and in the Netherlands with Daniel Brüggen. In 2014, she obtained a Master in Music Education specialising in recorder ensemble playing. Alice has taken part in many master classes held by Susanna Borsch, Daniël Brüggen, Sebastien Marq, Antonio Politano, Karel van Steenhoven and Dorothea Winter. Additionally, she also studies singing with baritone Vitali Rozynko. Alice has performed with various Italian and Dutch ensembles and has participated on two recordings with Coro da Camera di Bologna. A new recording, with ensemble Armonia delle Sfere, is expected to be published in 2016. Born in 1983 in Buenos Aires, Argentina, Soledad Brondino studied recorder with Sebastien Marq and Daniel Brüggen at the Koninklijk Conservatorium in Den Haag. Currently, she is studying baroque bassoon with Benny Aghassi at Conservatorium van Amsterdam. In Argentina, Soledad obtained the Licenciatura en Artes Musicales con orientación en Instrumento (flauta dulce) and the Profesorado Superior en Música. She has attended master classes with Dolores Costoyas, Juan Manuel Quintana, Rodrigo Calveyra, Joan Izquierdo, Reine-Marie Verhagen, Karel van Steenhoven, Ricardo Kanji, Julien Martin and Cesar Villavicencio. Born in Switzerland with Italian origins, Isabella Mercuri started playing recorder at an early age with Edwige Callmar and Andel Strube at the music school of Luzern, where she also followed piano lessons. Isabella moved to Zürich in order to study with Kees Boeke as well as with Matthias Weilenmann and completed her Bachelor of Arts in Music at the Zürcher Hochschule der Künste in June 2013. Since September 2013 she is continuing her studies at the Koninklijk Conservatorium in Den Haag, where she is in the class of Daniël Brüggen, currently completing her master’s degree. In Den Haag she has also started to study the baroque oboe with Frank de Bruine. Further interesting inputs were given to her in master classes with Peter Holtslag, Carsten Eckert and Sébastien Marq as well as by playing a concert with Han Tol. 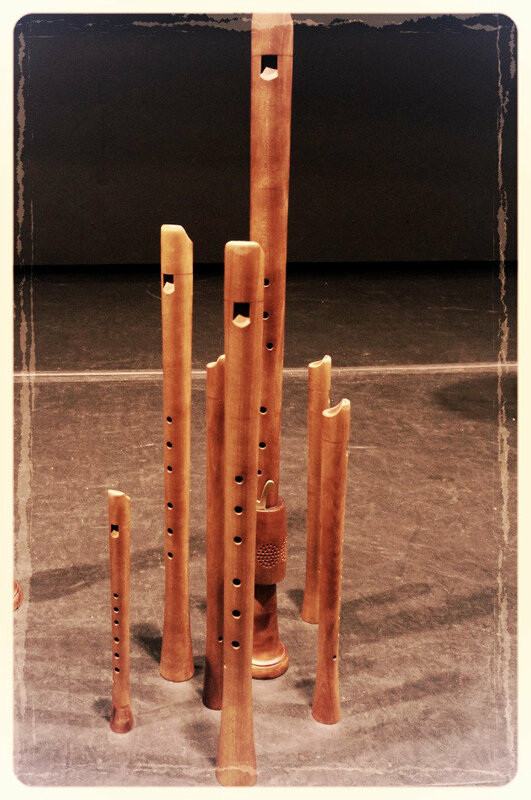 Thibault Viviani studied recorder in Villeurbanne (FR) with Frédérique Thouvenot, in the Royal Conservatory of The Hague (NL) with Sébastien Marq and Dorothea Winter, and in the Zürcher Hochschule der Künste (CH) with Kees Boeke. He studied in parallel traverso with Maria Goldschmidt-Pahn in Zürich, and with Linde Brunmayr-Tutz at the Musikhochschule Trossingen (DE). He is active both in the fields of early and contemporary music. He played with various orchestras and ensemble, such as the PRIME Recorder Ensemble (direction Antonio Politano), with whom he took part in the creation of numerous composition for recorders and live electronic and recorded a cd for the label O-live Music/ETK, the Orchestra la Scintilla an der Oper Zürich, the Berner Consort, the Ensemble Desmarest (Paris), the Royal Improviser Orchestra (Amsterdam) with whom he recorded a cd for the label RioT Impro. Thibault Viviani performs regularly in numerous venues in Europe, Israël and Mexico.